Getting hitched on a perfectly pruned lawn overlooking the sea sounds like an absolute dream to us city dwellers, and we can't help but ooh and aah at John and Sher's nuptials held at the magnificent Paresa Resort in Phuket, Thailand. Shot by the skilful Jonathan Ong, the couple's wedding was punctuated with a show of fireworks, after which the bride and groom lit their very own floating lantern, sealing their bond for eternity in the night sky. “I am from a little town called Klang whereas John hails from sunny Singapore. We both studied medicine in Johor Bahru and after we graduated, we relocated to Melbourne for work. Like all nerdy medical people, we met in the library. I was literally hiding at the back of the library and John appeared out of nowhere and struck a conversation with me. I had heard of John before from mutual friends but always thought he was an arrogant Singaporean. After speaking to him for the first time, I found myself very attracted to this humble and charismatic man; little did I know it was mutual. John then returned everyday to chat with me and we soon changed our stranger status to lovers! “Unbeknownst to me, John returned to my hometown to ask my parents for my hand in marriage. He secretly bought the engagement ring in Singapore and planned for a three-part surprise proposal. The proposal took place in a quaint little town called Trafalgar where I was working for a short stint. John had specially picked 23 November 2012 as the proposal date because it would have marked 3 years since we started dating. I was away for a day course and when I was about to return to Trafalgar, I was shocked to see a whole bunch of balloons attached to my car with a little card that said, “Come back to Trafalgar for a bigger surprise!” I then drove back to my cottage only to be surprised further with a diamond ring and the biggest question which would change my life forever. The best part of the surprise was, John had never been to my little cottage at Trafalgar, so he actually went to my neighbour’s house to propose! My neighbours thought he was on his first date with me because he looked so nervous! What made you decide to have a destination wedding and what makes this location special to you as a couple? “Since I am from Malaysia and John is from Singapore, and we both work in Melbourne, we figured all of our family and friends would have to fly somewhere. So we thought, why not have a destination wedding? After all, it would be another adventure for us! How did you find the experience of planning your destination wedding? 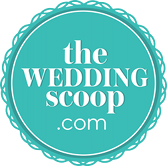 “As shocking as it may sound to most people, I loved every part of the wedding planning! We have been blessed to have help from our family members, friends and Marry Me Thailand; they have all made our wedding planning much easier. The beauty of destination weddings at Phuket is that the wedding comes in a package – all you have to do is choose what you like and voila! We were lucky to have Marry Me Thailand on our side. The team (Andrea Chappell, Donna Toon, Orsi Farkas and Paul Chappell) was brilliant, efficient and very accommodating. The team also worked effortlessly on the wedding day itself. From setting up, decorating, coordinating the flow of the itinerary, to being our DJ and cleaning up, we take our hats off to them. The most difficult thing was planning the transportation and logistics of the wedding. I took charge of this and was planning until the very morning of the wedding! I was then acknowledged as the ‘Queen of Whatsapp Groups’ because I created so many groups on the app that I was blocked from creating more. The best part of the whole thing was that I was planning this wedding with John. He was the world’s calmest groom and nothing stressed him out. John oversaw the big picture of the wedding whereas I focused on the details; he handled finances and payments, our guests’ flights and accommodation and our itinerary. He constantly reminded me that our love would pull us through everything! “The ceremony was held at the Miracle Lawn at Paresa Resort, Phuket. It’s a beautiful lawn overlooking the Andaman Sea and our wedding was held at sunset. The team from Marry Me Thailand decorated the lawn with white Tiffany chairs and a gorgeous white gazebo where we said our vows. We had simple decorations which included flowers in glass bottles hanging from the side of the chairs, custom-made hand fans by Hsulynn Pang and water bottles with our signature ‘John and Sher’ labels. The flowers were made of beautiful roses, dahlias and carnations with greenery in a gorgeous pastel palette of cream and a variety of pink. Tell us about the reception. “The wedding reception was so magical! We had a plein-air dinner overlooking the Andaman Sea with fairy lights hanging above us. Our wedding emcees, Rayner Tan and Ong Weide, are John’s best mates and they sure made the night lively and fun with their Singaporean flair. We played ‘The Shoe Game’ and a very fun kissing game where we would kiss as long as our guests picked up the challenge of doing a dare such as kissing John’s father, dancing with the Maid of Honor and dirty dancing! Did you undertake any DIY projects for the wedding? Did you set a budget and were you able to stick to it? Congratulations on your marriage, John and Sher! May it be every bit as beautiful as your wedding!